Ideally located in Berlin's vibrant district of Friedrichshain, this 3-star hotel lies just 400 metres from the nearest U-Bahn (underground) station and a 15-minute walk from the famous East Side Gallery. Dating from the late 19th century, the Ibis Styles Berlin City Ost offers comfortable rooms, all well-equipped with cable TV and Wi-Fi internet access. Wake up each morning to a delicious, varied breakfast buffet before setting out to explore Berlin. 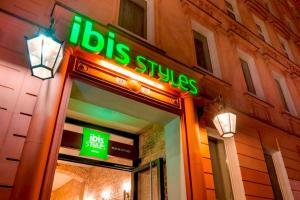 At the Ibis Styles Berlin City Ost, you are surrounded by east Berlin’s trendiest shops and nightlife venues, while being just a 15-minute journey from the city's major cultural attractions. In the evening, why not relax with a drink in the hotel bar before enjoying dinner at one of the many restaurants nearby.